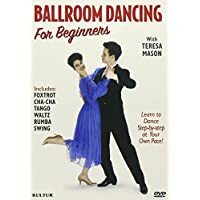 The Foxtrot dance premiered in the early 20th century as a ballroom dance popularized by dancers, Vernon and Irene Castle. Arthur Murray and other dance studios standardized the dance in the 1940’s. Consequently, during this era, it became one of the most popular dance genres. There are at least two styles of foxtrot, American and International style. 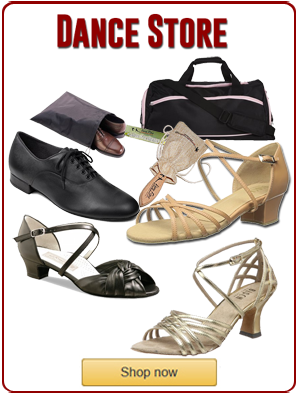 International style foxtrot is more popular for Dancesport competitions and in Europe. It conforms to strict world dance council standards. This is in order for all competitors to be compard by a group of judges. The American style foxtrot dance belongs to the group of dances titled, “smooth dances,” along with the waltz, tango and Viennese waltz. American style foxtrot is more often used in social dance venues. However, there are American ballroom style competitions and categories too. 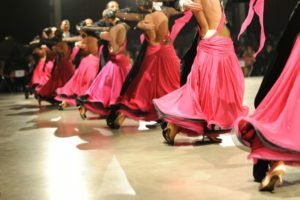 In American style ballroom dance, there is both a smooth and a rhythm categories. The smooth dances move around the floor in a counter clockwise direction using flight. Sometimes the term slow foxtrot is used to refer to International style foxtrot, which uses a slower tempo than American style foxtrots. The foxtrot is an excellent dance genre for the slower tempo music in 4 beats. It uses two rhythm units alternating six and eight count patterns, figures or movements. Breaking from the rhythm is also a common practice, for example, using all quicks or slows. The foxtrot dance was wildly popular during the big band era when huge ballrooms with beautiful hardwood floors were more common place. It continued to be popular in the 1950’s with singers like Frank Sinatra and the Tony Bennett and continues to be popular today. Michael Buble is a contemporary singer who performs and records a variety of songs that are perfect for foxtrot dancing. 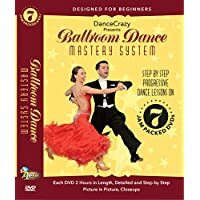 The foxtrot dance is also one of the most popular dance genres for wedding dance couples since it is a smooth, medium tempo form of dancing and fits many of the slower more romantic contemporary songs. 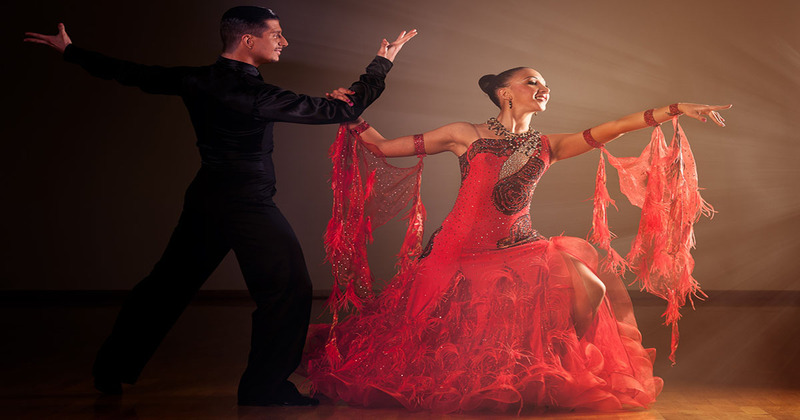 Read about the different types of dance here!